I was so super geared up to quilt this week. It’s a good thing too, because there was work to do. 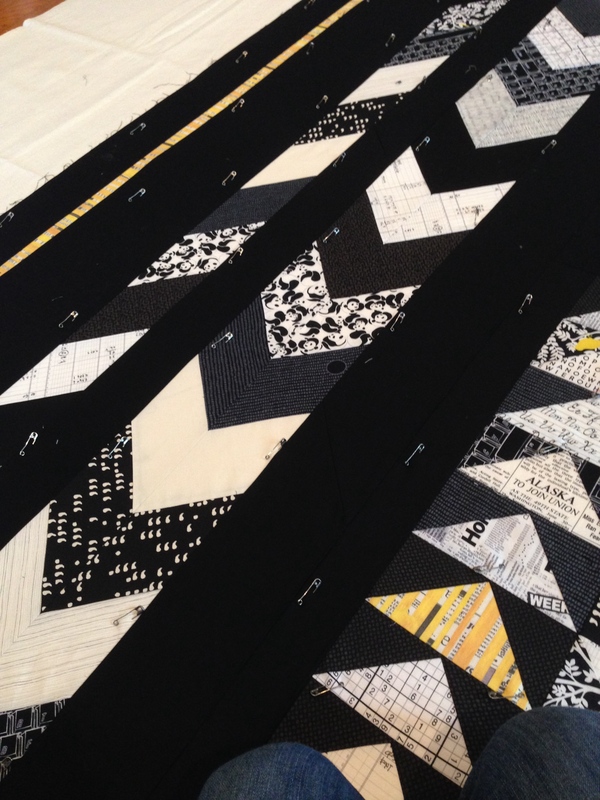 I think I did every quilting step except for binding in the last three days. 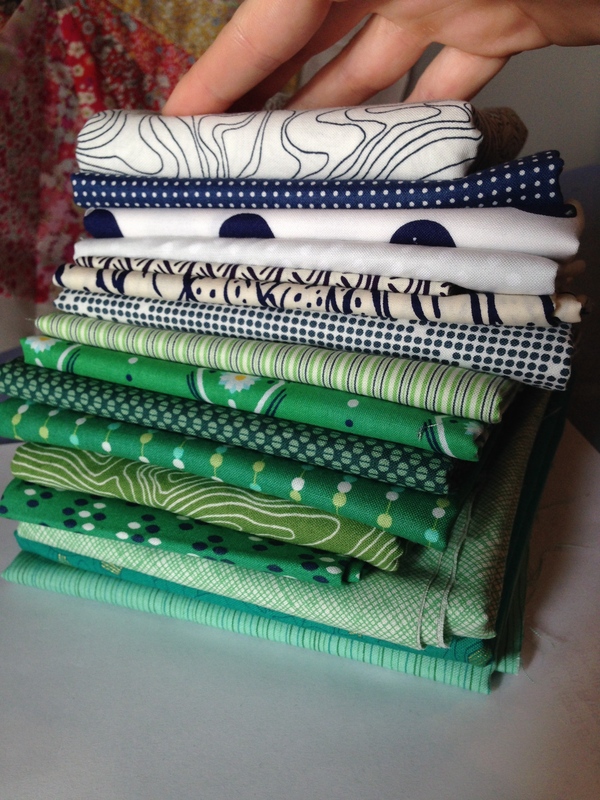 I have a new nephew coming soon, and I want to make him a version of the You Are My Sunshine quilt, so I visited my local quilt shop to round out this stack. I’m so totally in love with it– so many of my favorite prints and designers make this a simple but scrappy stack (the big dots stand out to me now– they’ll probably be on the back). I did this while chatting on the phone. I love a good distraction, since cutting is just so tedious sometimes. 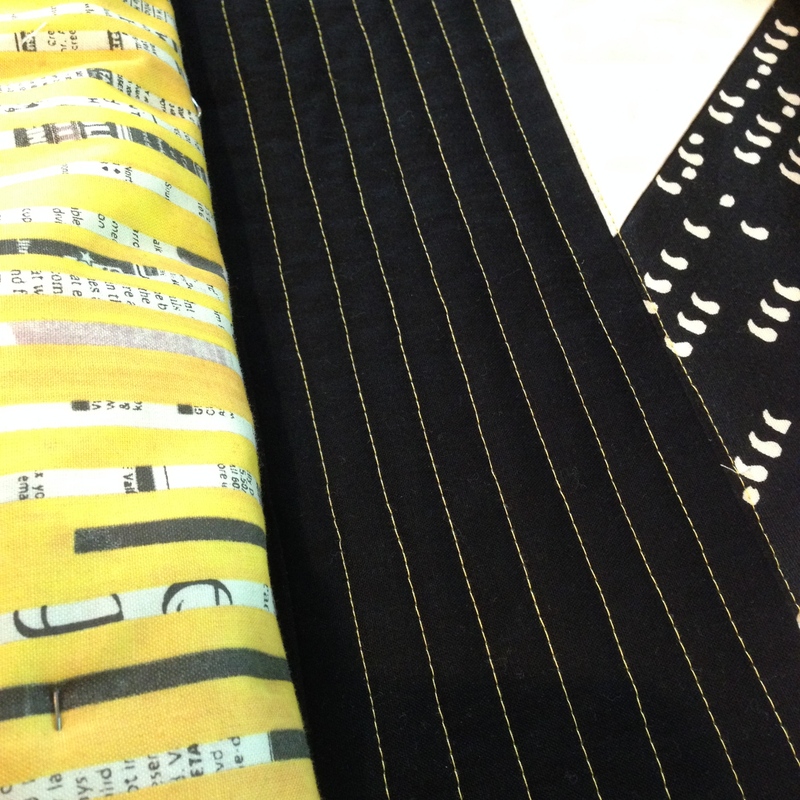 My demo fabric was from my new stack. I can be an excellent multi-tasker (I didn’t sew all the quarters together yet). Now I’m really in love. 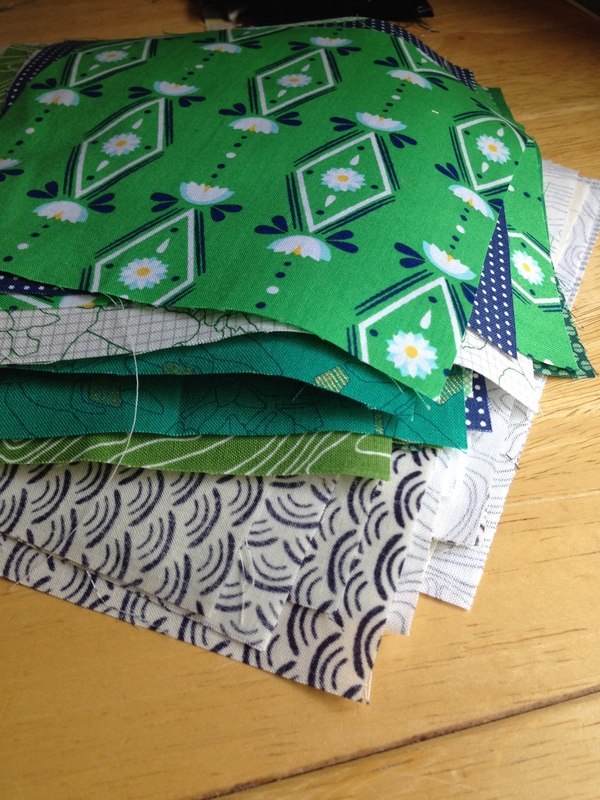 Background fabric, clockwise from top left: Dear Stella, Meadow, Architextures, Koi. 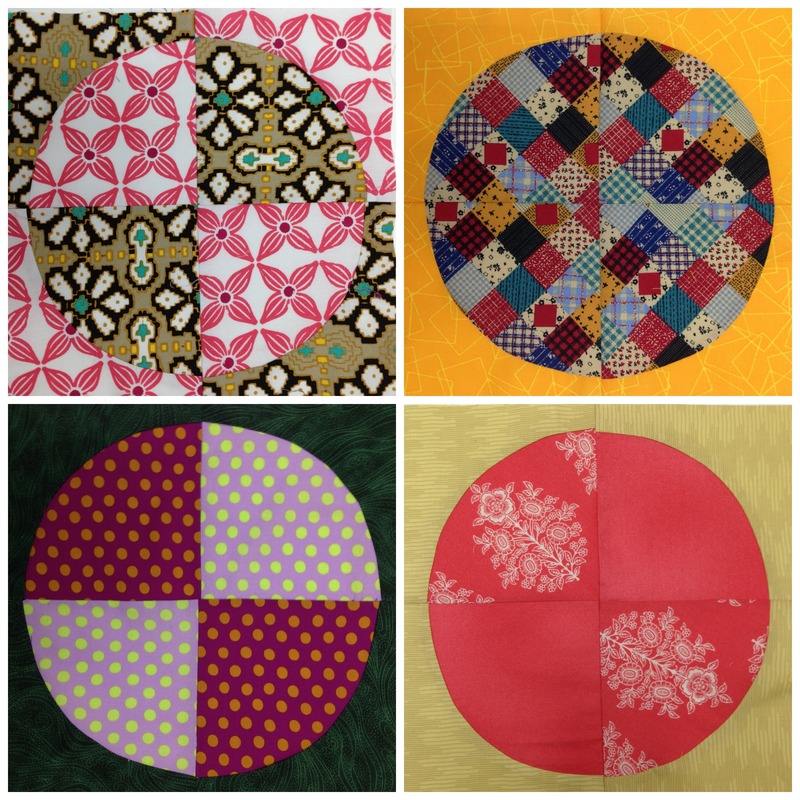 Pie pieces, clockwise from top left: Lotus Pond, Ansonia, Color Me Happy, Color Me Happy. I basted the Husband Quilt. It’s almost bigger than my free floor space. I used some Quilter’s Dream deluxe batting that I got as a gift and have been saving for almost a year. Linty but luxurious. And it was time for my favorite part! 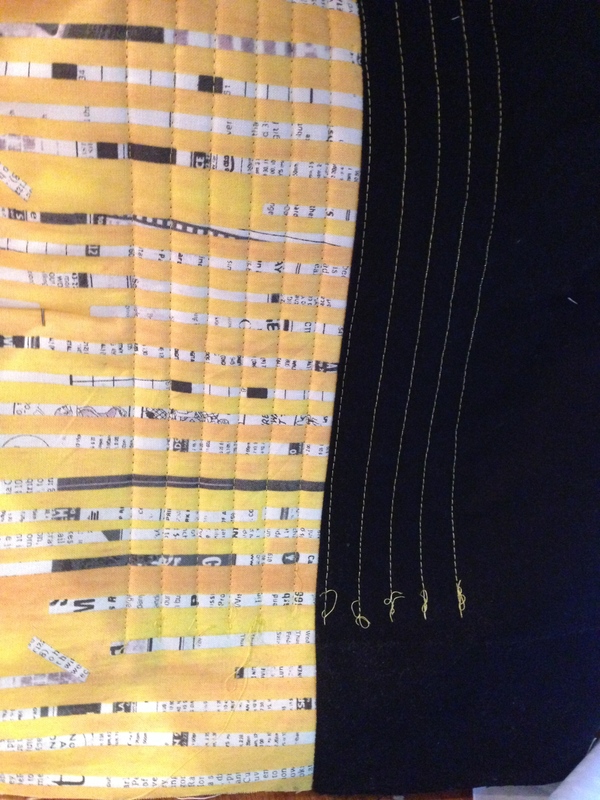 My husband and I debated which thread to quilt with, and in the end went with Aurifil 50w in Canary from Carolyn Friedlander’s Botanics collection. 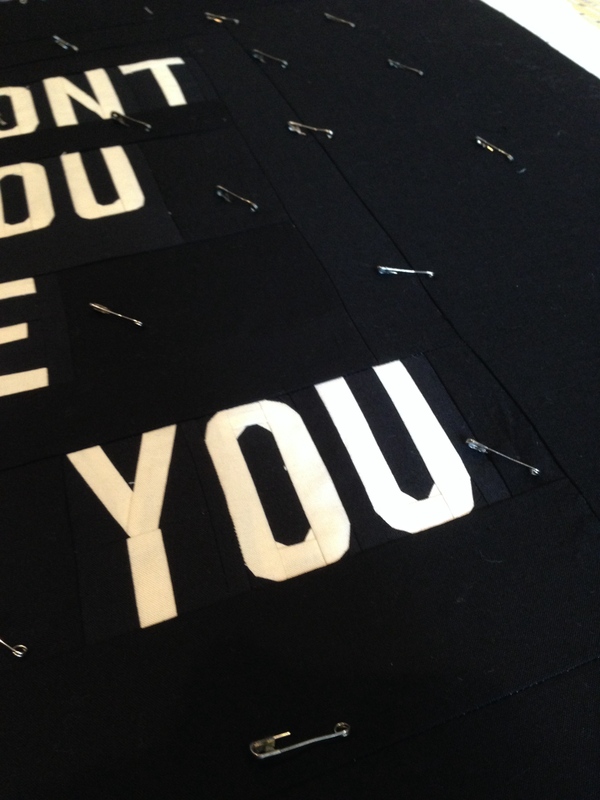 It blends with the light fabrics and really pops on the black solid. The only thing left is binding! And there will be some of that this weekend. Samples for class, but it counts! 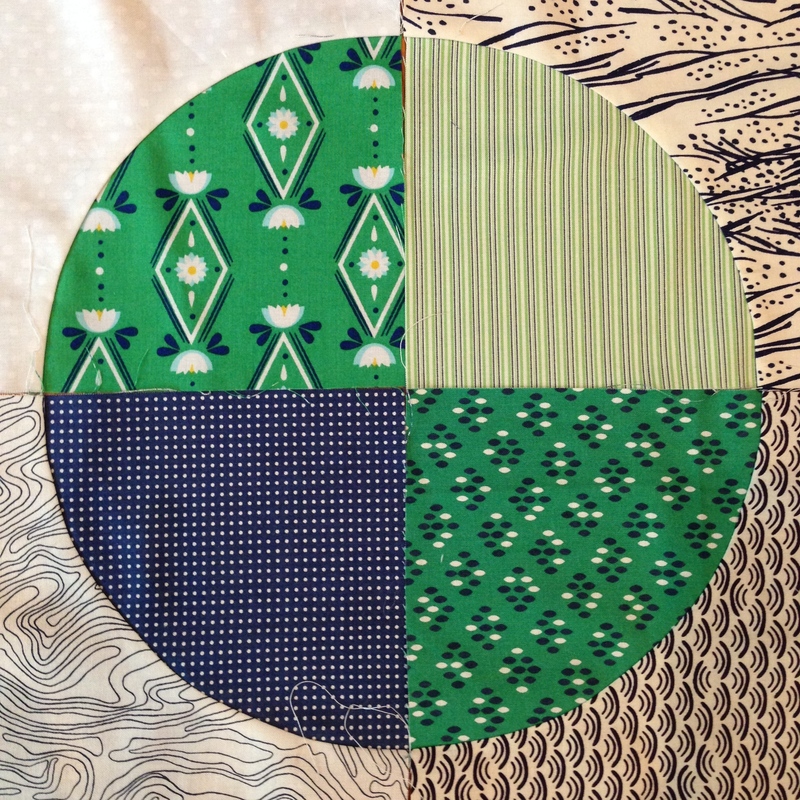 It was a good week for quilting. I’m really excited to watch these projects come together. Oh great. Now I’ve got that New Kids on the Block song stuck in my head. Well, misery loves company. Here you go. As a palette cleanser, have you heard the new Arctic Monkeys album? It’s got a good grungy groove to it (I dig the beginning of the video, but the end part is not one to watch at work or around kids). One foot in front of the other. Have a great weekeend! Love that you were so productive this week! Woo hoo! Green and navy = so, so good. Preppy, little-boy, awesome. Isn’t that green from Rae’s line just so beautiful? You’re making me need it. Hooray for productive quilty weeks! I really loved the layout of this post. Creative. 🙂 I’ll respond to your email soon!